Alicia is recognized as one of the top hair technicians in the USA, Alicia Laureano is known for her innovative hair restoration techniques. With an advanced understanding of the artistry required to mimic the natural hair shaft angle, Alicia achieves the most natural-looking results utilizing NeoGraft FUE Hair Restoration. Alicia has been in the hair restoration arena for many years and receives nationwide recognition from Hair transplant facilities and the doctors running them. 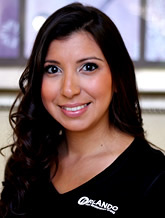 With over 15 years’ experience, Jenny Murillo is a hair restoration technician, specializing in precision hair graft extraction and dissection. Jenny has traveled nationwide and internationally to assist hair surgeons in training and staffing hair restoration facilities. Jenny applies exceptional standards to her own work and training, including NeoGraft FUE Hair Transplantation Technique. 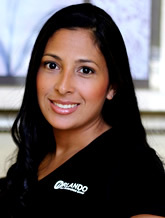 Zilkia Laureano has been assisting Dr. Finger in Savannah, Georgia for more than a decade. She conducts hair restoration training for clinics all over the country. Zilkia teaches follicular unit dissection, extraction, and placement all over the USA. Known for her attention to detail during extraction, she is an essential part of our Hair Restoration Team.